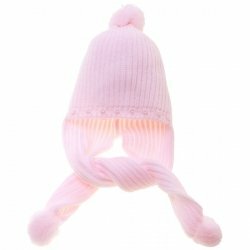 Top quality pink hat and scarf set. Made by Spanish designer Albero. 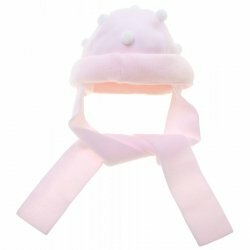 Very soft and will keep your baby warm as it is thick and padded inside (see photo), has an attached scarf to cover the ear and go round the neck. 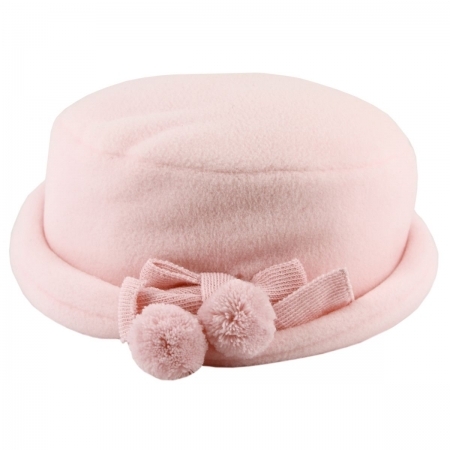 It is decorated with a bow and two pom-pom balls. The material is 100% high quality polyester with 100% cotton lining. Made in Spain. Size given in baby girls head circumference (and in brackets the approximate age).